The following review and photograph appeared in a local newspaper. 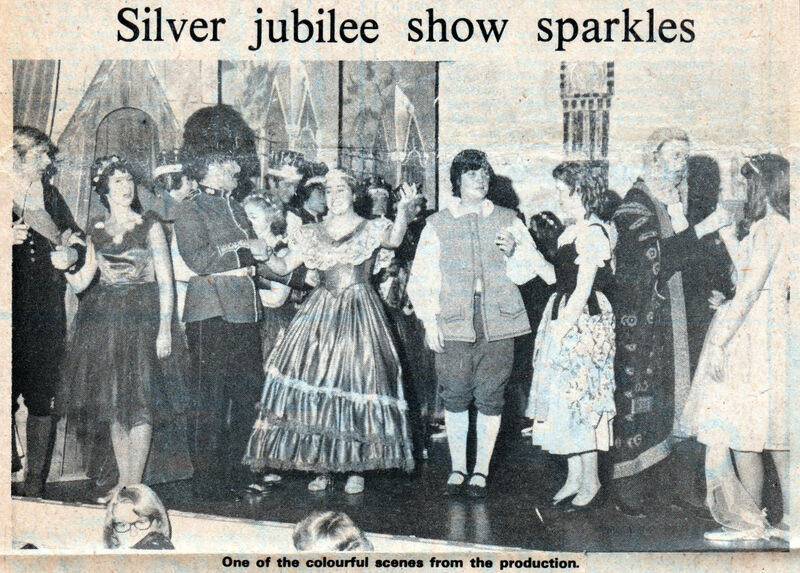 It would be easy to say that with 24 Gilbert and Sullivan operettas behind it, Stewartby Amateur Operatic and Dramatic Society should have sufficient experience to do well with its silver jubilee production this week. Undoubtedly this is one of the reasons why the group is excelling with Iolanthe - the third time it has appeared in 25 years. But talent does come into it, particularly with one principal, Bob Murdoch. He is no stranger to Gilbert and Sullivan, and his fine tenor voice is a welcome addition to the company. His family has always been keenly interested in G and S, and as a boy he took part in school productions. 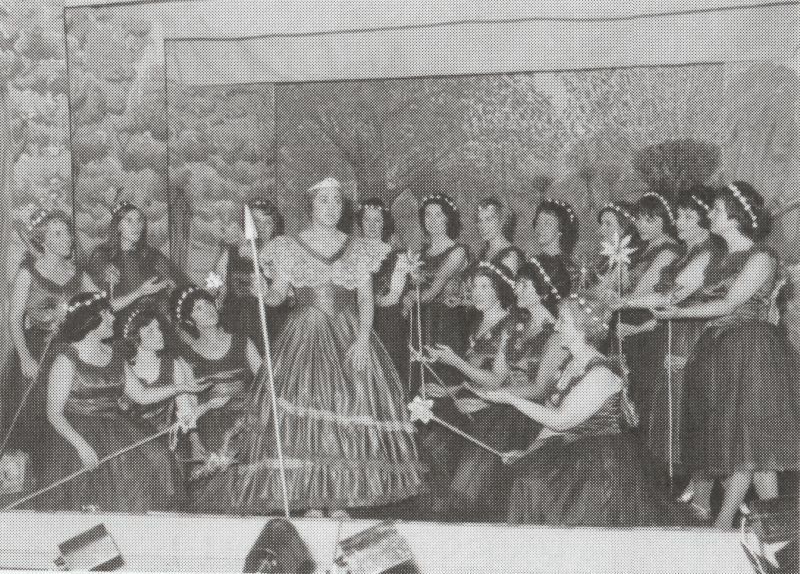 From these he progressed to amateur operatic societies, including Bedford's. For four years he played principal parts and was in the chorus with the BAOS. In Iolanthe he plays the half-fairy, half-human Strephon, who enters politics. His confidence on stage is assured - his presence magnetic. Bob makes an excellent partner for Shirley Woods as Phyllis, his love. Shirley is consistent in her mannerisms and no gestures or facial expressions go to waste. Although her voice does not have the strength to match Bob's, it is highly polished. Jacky Kitchiner, who plays the title role, is one of the company's more experienced leading ladies. This is her 16th principal part and [she] is worthy of such a position. The queen of the fairies is played by Laura Adams, whose husband Brian makes a capable job of the Earl of Mountararat. Laura is as severe and as kind-hearted as any fairy queen should be. Martin Wells is the Lord Chancellor - the bumbling character typical of the G and S works. He has the fast song "The law is the true embodiment", and is highly amusing anyway. The chorus is good and strong - the men as peers and the women as fairies. Whether apart or together, they provide a positive front for the orchestra - which as usual is actually a musical treat for the audience. The production runs at Stewartby village hall until tomorrow.